Argentine football legend Diego Maradona has been admitted to hospital with internal bleeding in his stomach, local media reported on Friday. The 58-year-old was under observation at the Olivos clinic on the outskirts of Argentina’s capital Buenos Aires after a routine medical check, according to the Clarin newspaper. Doctors reportedly discovered bleeding during an endoscope, a procedure used to examine internal organs. 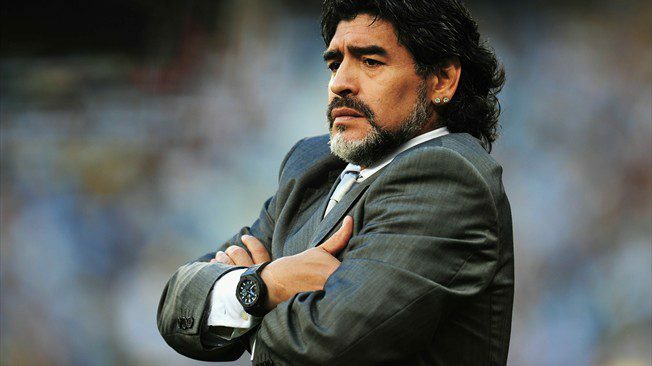 The hospital did not immediately release details of Maradona’s condition. Clarin said Maradona would require a “small operation”, adding that his condition was not serious. Maradona’s daughter, Dalma, took to social media to reassure fans of her father’s health. She said her sister, Giannina, was with the former Boca Juniors, Barcelona and Napoli forward in hospital. Maradona has suffered a series of health problems since ending his playing career in 1997. News of the 1986 World Cup winner’s latest health scare came just hours after his lawyer, Matias Morla, announced that Maradona would continue as coach of Mexico’s Dorados de Sinaloa.